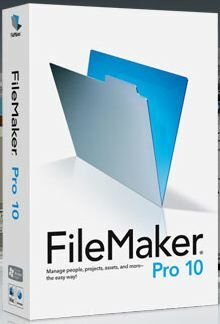 Say Hello To FileMaker 10! Today FileMaker released the latest version of our beloved database product and it has a very interesting set of new features. My favorite, the ability to execute scripts without clicking a button or using a menu command! This has been something I’ve wanted for about as long as the return of my old 32 inch waistline! I’m very excited to hear feedback from the FileMaker developer community about these upgrades. For now, here is a link (http://filemaker.com/) to what the mother ship has to say about this upgrade and you can even download a free trial of this new version while you are there!